This is a 79SC. Replaced all the fuel lines and breather and vacuum hoses (and scratch built an engine wiring harness). Routing of most of the lines was straightforward, but my “before” pics don’t show which way the brake booster vacuum hose goes when it runs from the fitting at the tunnel, ie above or below the left trailing arm. Does anyone have a pic or have a similar model up on a lift? Does it go below or above the trailing arm? 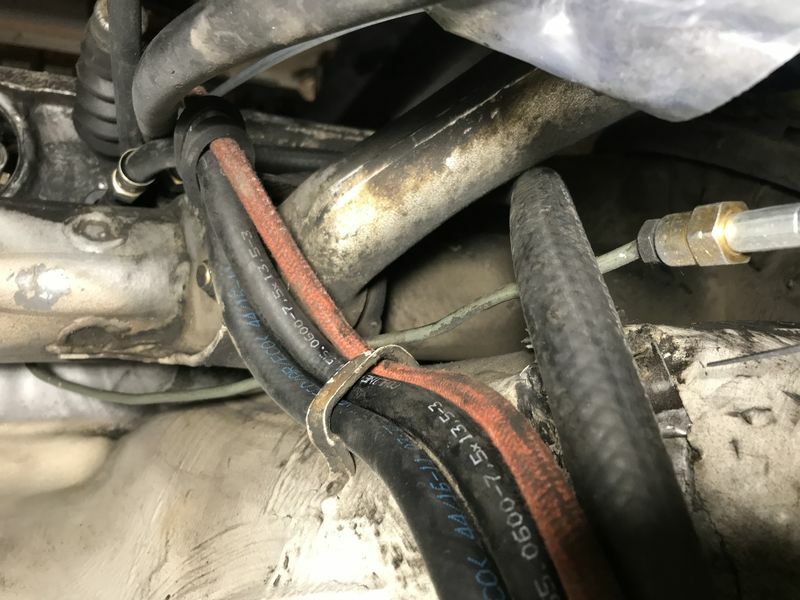 I currently have the hose running above the trailing arm as shown in the pic below (fat textured hose) but I’m concerned that it could get pinched by the arm when the weight goes back on the wheels. Last edited by Brian Cameron; 08-14-2018 at 11:02 PM.. It routes above the rear axle cross-tube and beneath the rear seat bucket and is clamped to the bottom of the seat bucket. Thanks Tsuter, I’ve re-routed it behind the torsion bar tube, looks like it is in no danger of getting pinched now.